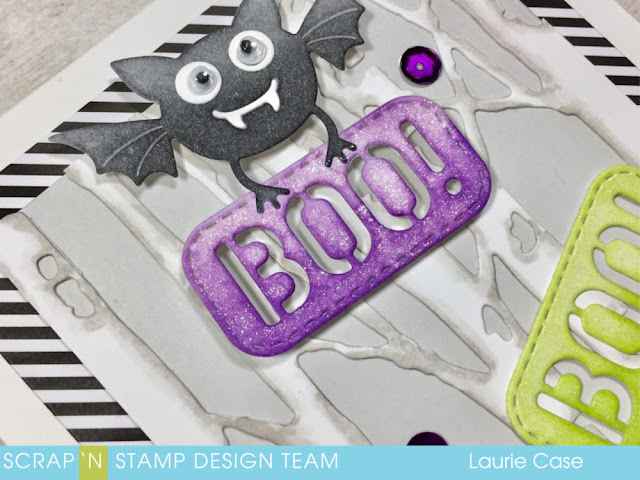 Hello, my crafty peeps and welcome to the Spooktacular Blog Hop for Scrap 'N Stamp Canada!! This time around we are switching things up a bit. 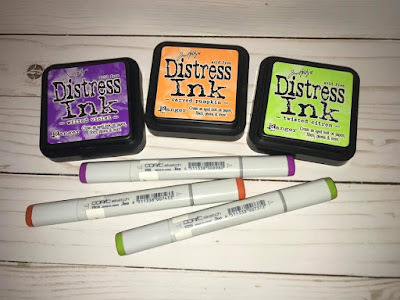 We are not only offering prizes for comments on each blog stop but there is a challenge going on as well on the SNS Challenge FB Page where you can also win prizes! How exciting!! 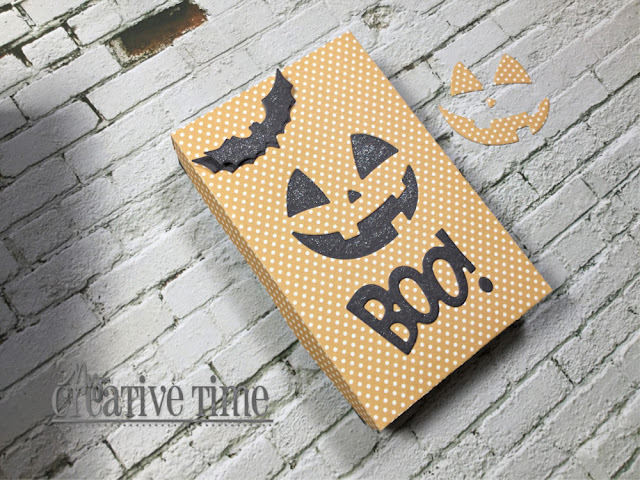 This month's blog hop has to do with Halloween, but with a bit of a twist. 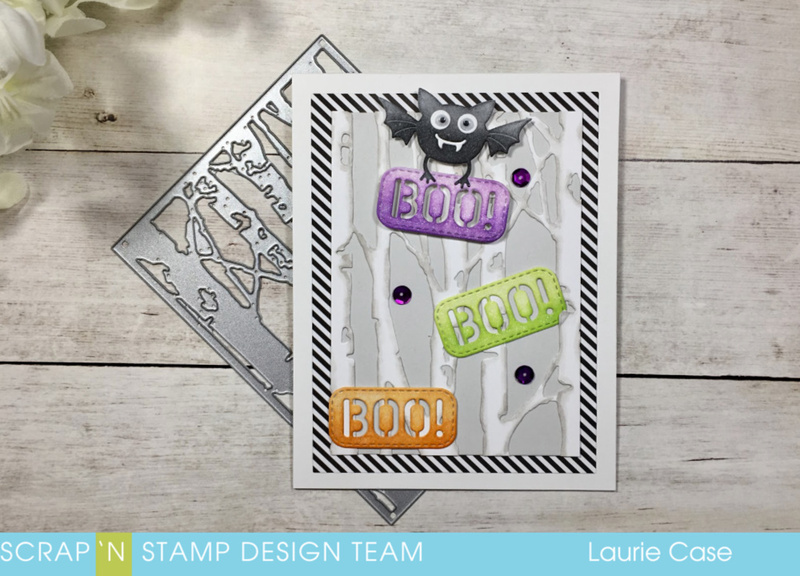 We know that not everyone makes Halloween cards and may not have the supplies to do so. So, we are going for more of a colour challenge. In other words, if you participate in the FB Challenge, you're project doesn't have to be Halloween themed. 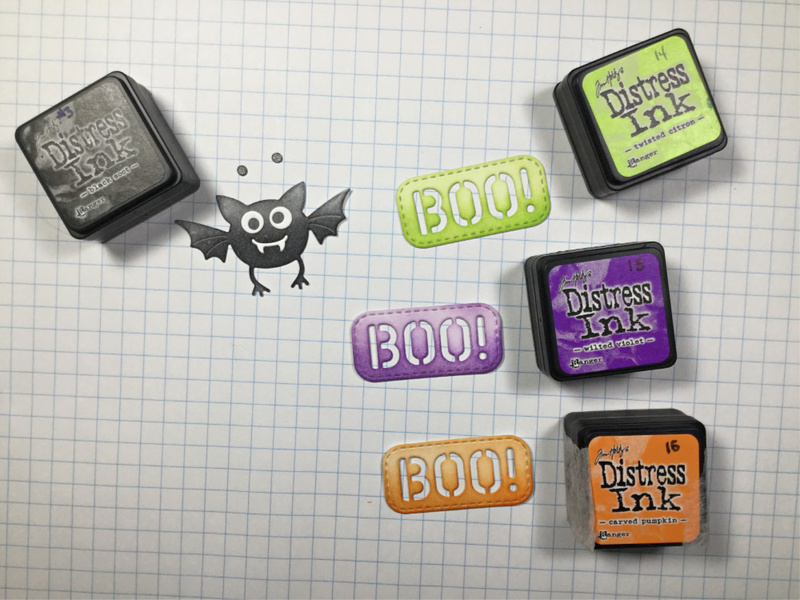 Just find some inspiration in these 3 Distress Ink colours...Twisted Citron, Carved Pumpkin and Wilted Violet. For my project, I actually went with the colours as well as Halloween. I have the sweetest die from Impression Obsession called Bat With Sign. The price point is awesome on this die and is a lot bigger than I anticipated!! I used the 3 colours of Distress Ink plus Black Soot to ink up the bat. Isn't that bat adorable?? For the background, I used the Birch Trees Die from Tim Holtz and cut it out of white cardstock. I added a bit of shading around each tree using some Warm Grey markers. This added a bit of dimension. 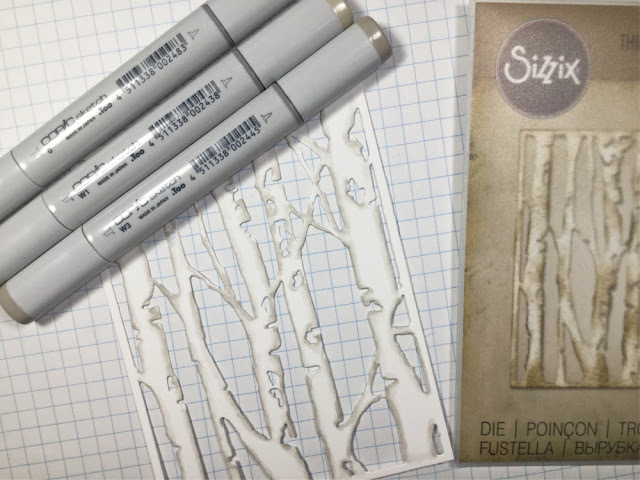 I adhered the Birch Trees onto a piece of light grey cardstock which was a bit smaller than the die, and cut the excess off with scissors. 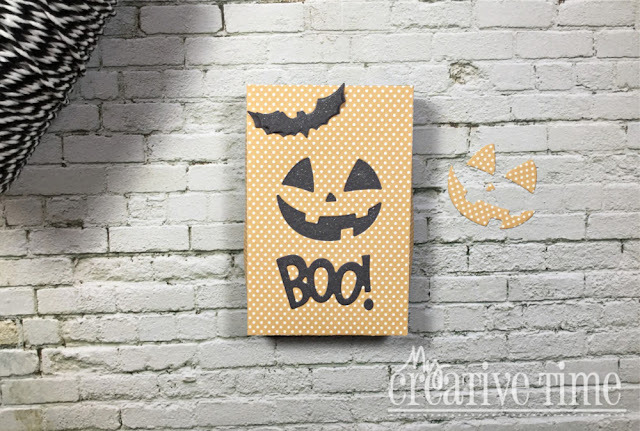 I then layered that onto a piece of black and white striped paper from My Favourite Things. 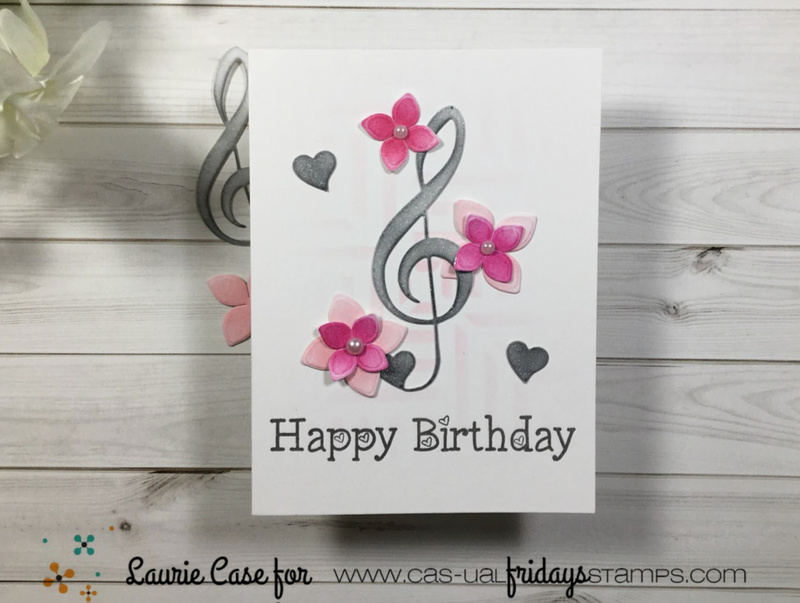 The entire piece was put onto a white A2 card base. My cute Bat With the Purple Sign was popped up on foam adhesive while the other two I adhered with liquid glue. This little cutie just screamed googly eyes to me!! I added quite a bit of shimmer with the Wink of Stella Pen to each sign. A few purple sequins from my stash finish this card off!! Up next on the hop is the incredibly talented JESSICA!!! 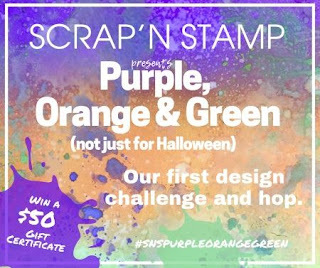 Scrap 'N Stamp is generously giving away three (3) $25 gift certificates to the store! For a chance to win, just leave some love on each stop of the hop! Winners will be announced on the SNS Blog on October 26th, 2018. Good Luck!! This is new and exciting!! Simply create a project using the colour theme of Orange, Green and Purple and share it on the Challenge page. 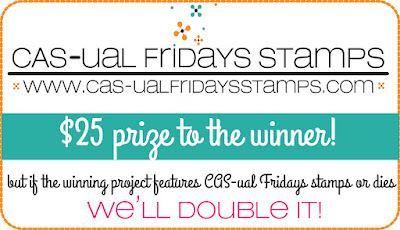 Up for grabs is a $50 gift certificate to the SNS Store!! Not only that, but each participant in the challenge will receive a special discount code for their next order!! Entries will be accepted until November 1, 2018 with the winner being announced on November 2, 2018!! Good luck and we cannot wait to see what you've made!! Hello crafty friends and welcome back!! 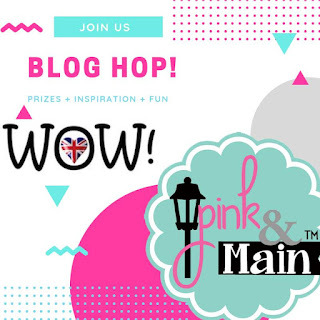 Today is an exciting day as Pink & Main has teamed up with Wow Embossing Powders for a fabulous blog hop!! This hop is jam packed with amazing inspiration from a ton of incredible designers so sit back, relax and enjoy the hop!! 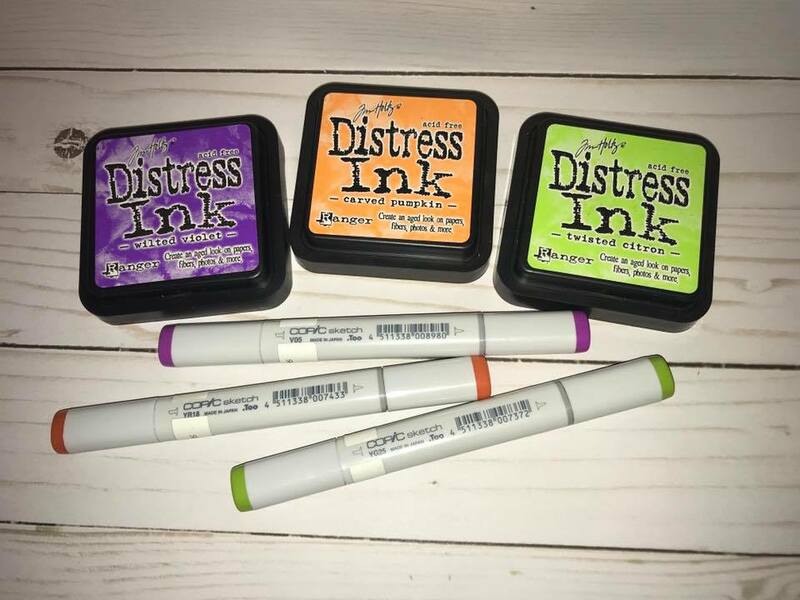 If you arrived from the wonderful Kimberly's Blog, you are on the right track! If not, you can click here for the beginning of the hop!! Stay tuned until the end of this post for all the sweet details on how to win some awesome prizes!! 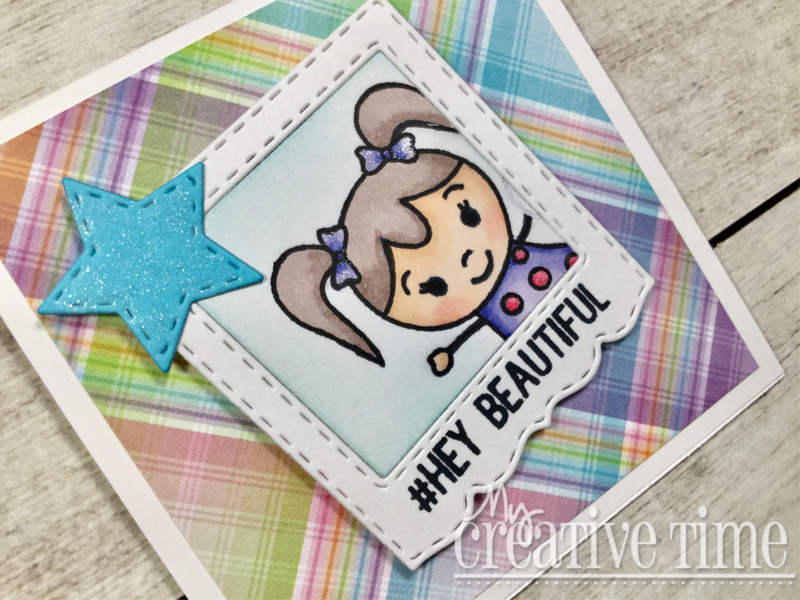 I was so excited to play with the Turkish Nights Embossing Glitter!! And let me tell you, it didn't disappoint! It is so sparkly and gorgeous and worked perfectly for snowflakes. Non-traditional snowflakes, that is! I stamped a bunch of snowflakes that are from the previously released P&M stamp set, Flurries. This is a chunky glitter so some details were lost but that didn't bother me at all! I used the co-ordinating Flurries Dies to cut out each snowflake. 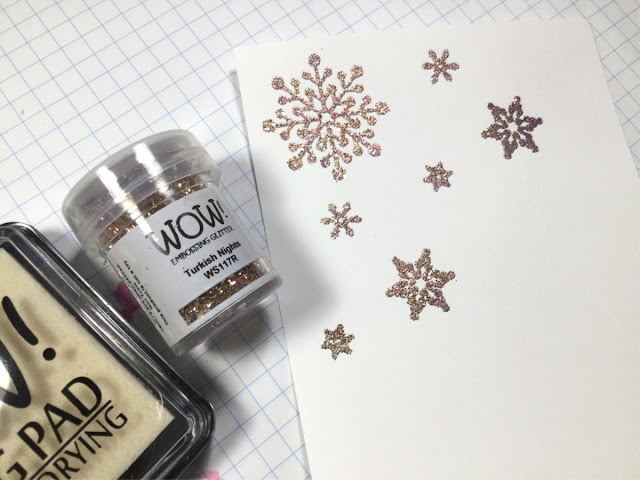 To continue on with this glittery theme, I die cut a "snowbank" using the Scallop Waves Dies and swiped the WOW Embossing Pad along the top to add some shimmery snow. 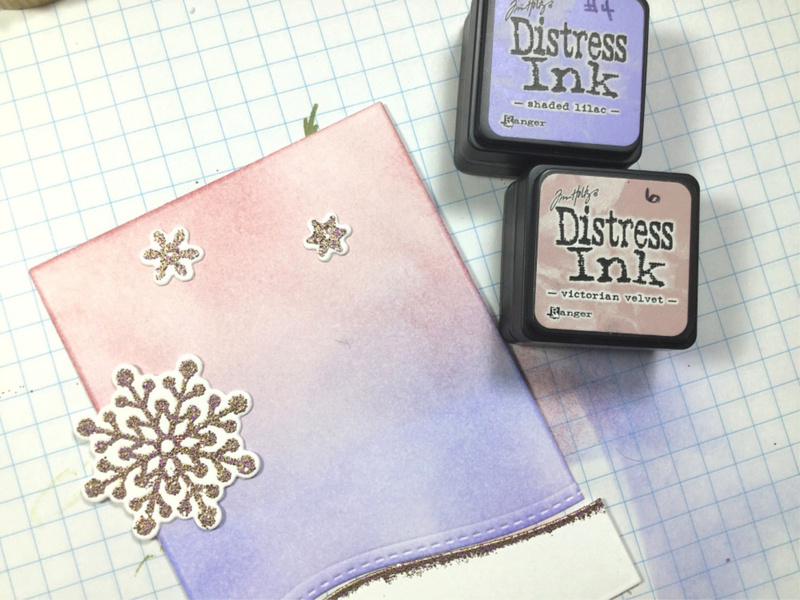 To create a wintery background, I blended Shaded Lilac and Victorian Velvet Distress Inks onto my panel. 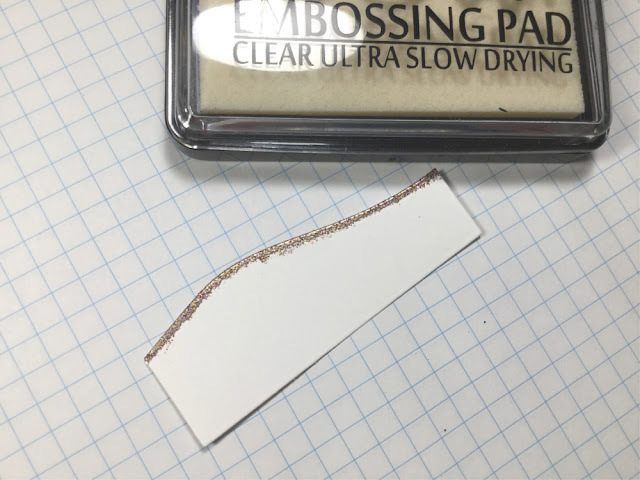 I should mention that the panel was cut using the Cloudy Frame Dies but I only used the inner portion. Not a super great blend (or photo, I apologize) but our beautiful snowflakes will cover most of that background! I used the Snow Sweet Stamp set and co-ordinating dies for my focal image. This set is filled with the cutest snow people, ever!! I coloured these sweeties with my alcohol markers and popped them up on the blended panel. All the snowflakes were adhered using liquid glue. 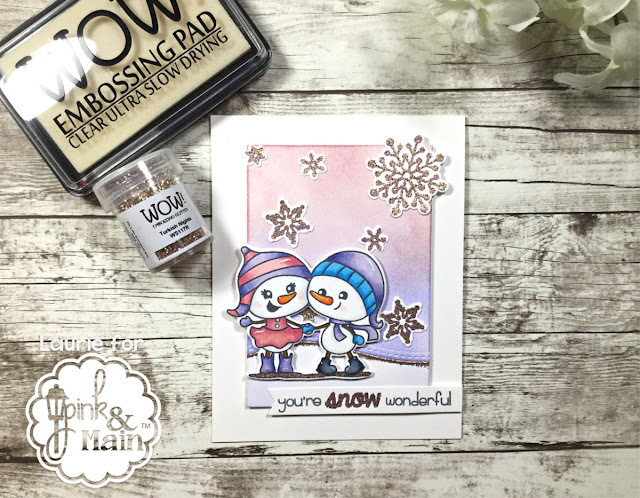 This stamp set lets you "build" your own sentiment so I chose "You're Snow Wonderful". Because the snow is a bolder font, I was able to use the Turkish Nights embossing glitter on it as well! 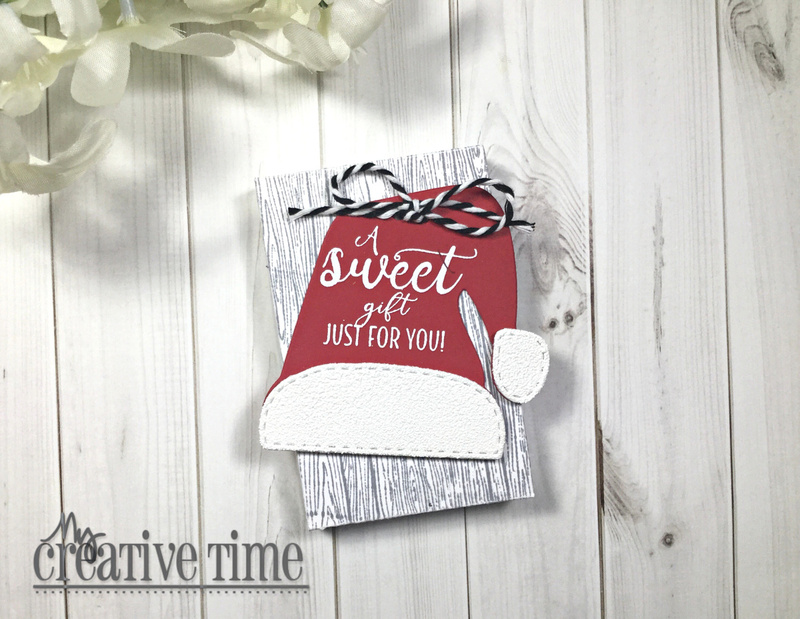 I had "Snow Much Fun" (hahaha) making this card. 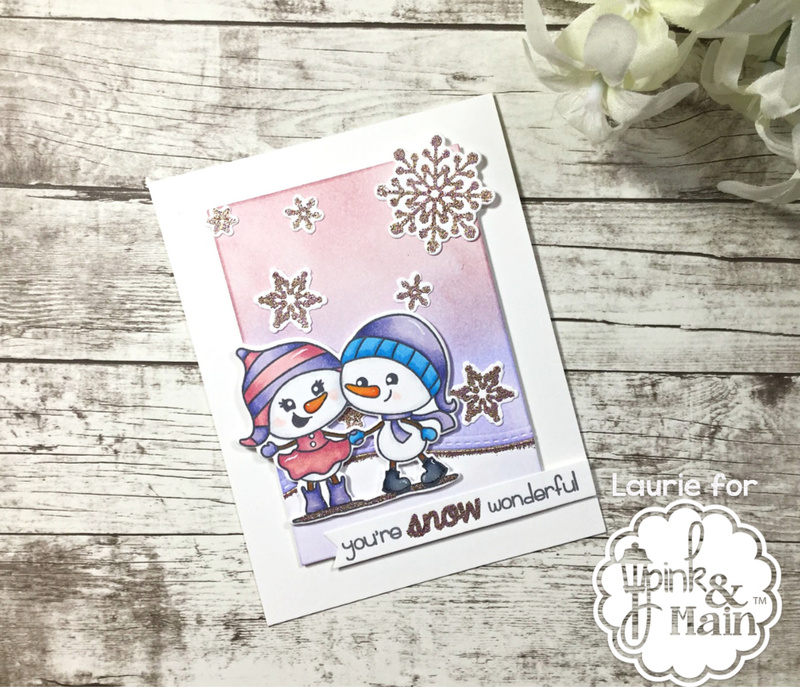 Glittery snowflakes and cute snow people-can't go wrong with that!! Up next on the hop is my super talented friend, Lynnea, who will knock your socks off!! 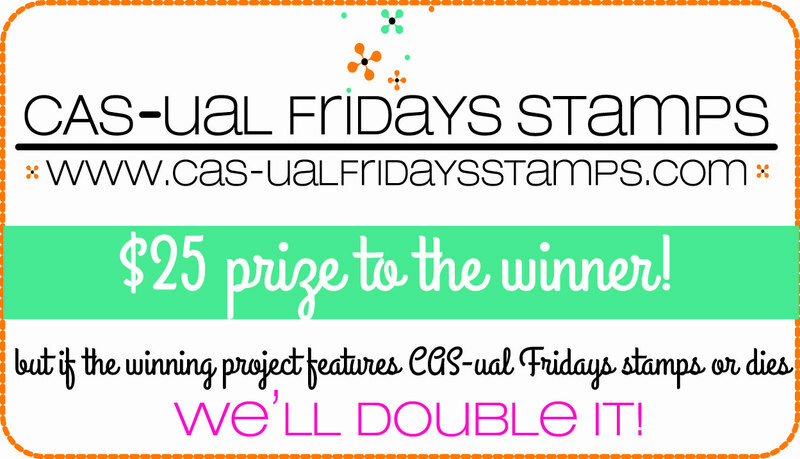 But before you go, check out how you can win some fabulous prizes!! All you have to do is leave some love on each stop of the hop, easy right??! 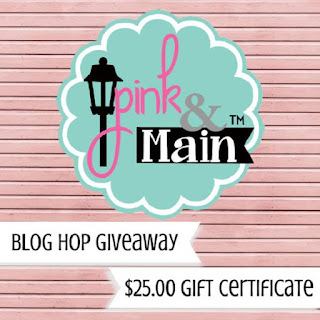 Pink & Main is giving away a $25.00 gift certificate to one lucky commenter and WOW Embossing Powders is giving away a set of 6 embossing powders with carry case!!! 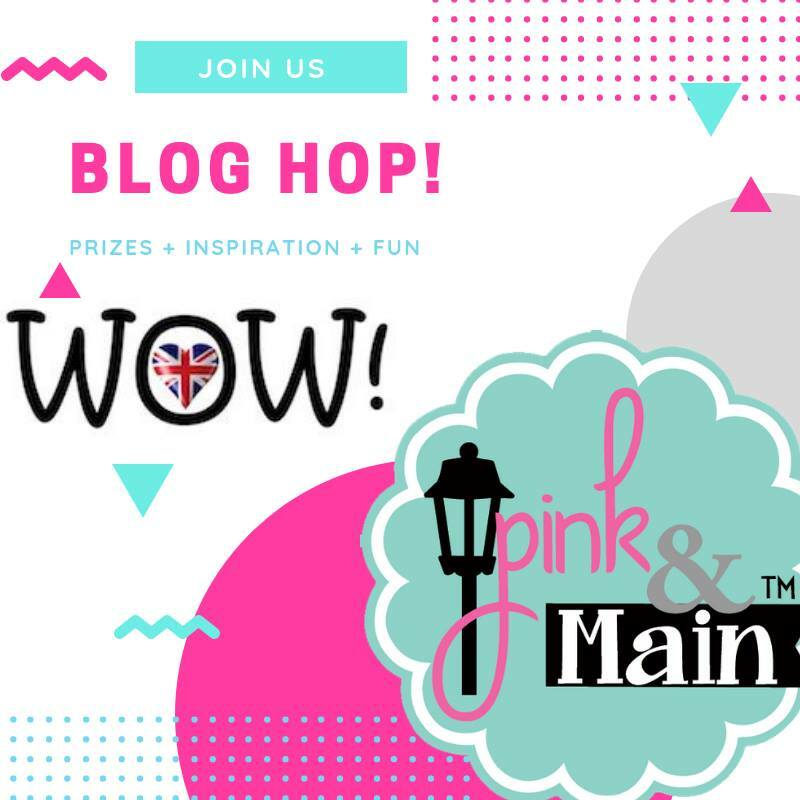 Winners will be announced on the Pink&Main and Wow Embossing Powders Blogs on Wednesday, October 22nd at 9:00 am EST. Good Luck, my friends!! Thank you for stopping in today...enjoy the hop!!!! Welcome back to the final day of Sneak Peeks for the 84th Edition Release for My Creative Time!! 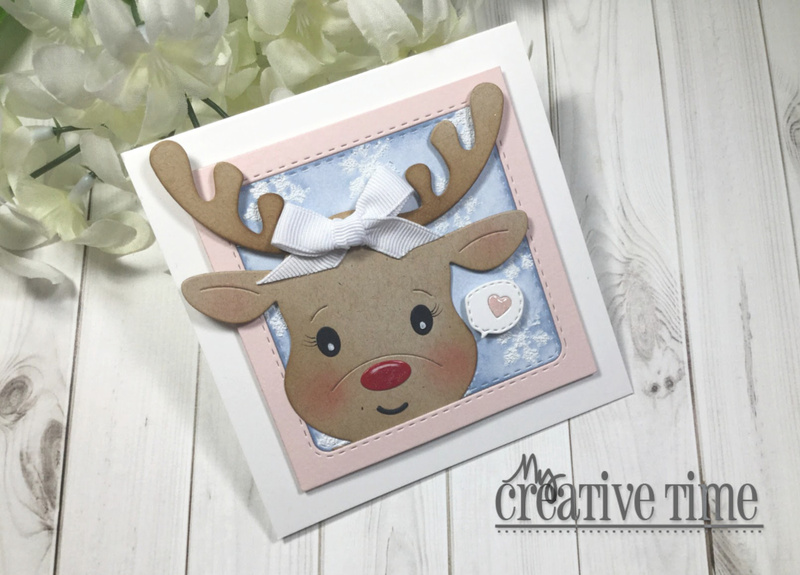 Today we are showing you what is probably my favourite from this release...the Reindeer Lollipop Holder Die!! This is SOOOO CUTE!! With so many possibilities! I made a card using this adorable deer! 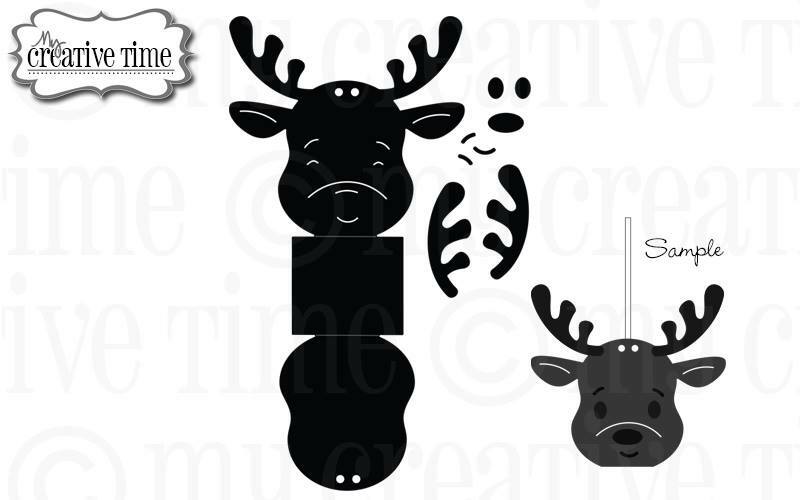 This is a large die set that comes with separate pieces for the antlers, nose, eyes and mouth. This lets you decorate both sides of the Lollipop Holder. 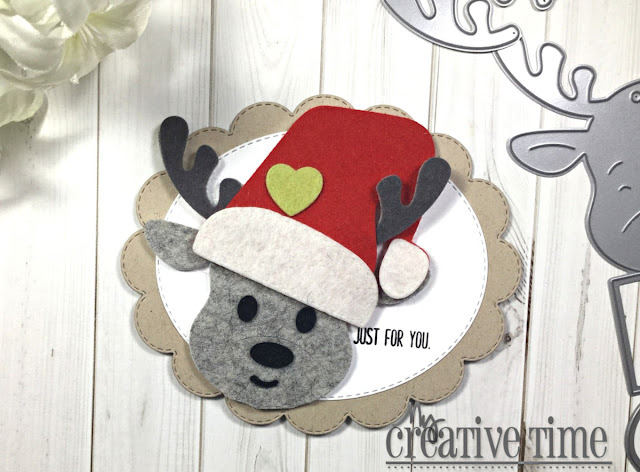 I used cardstock along with Distress Inks to make my deer come alive! 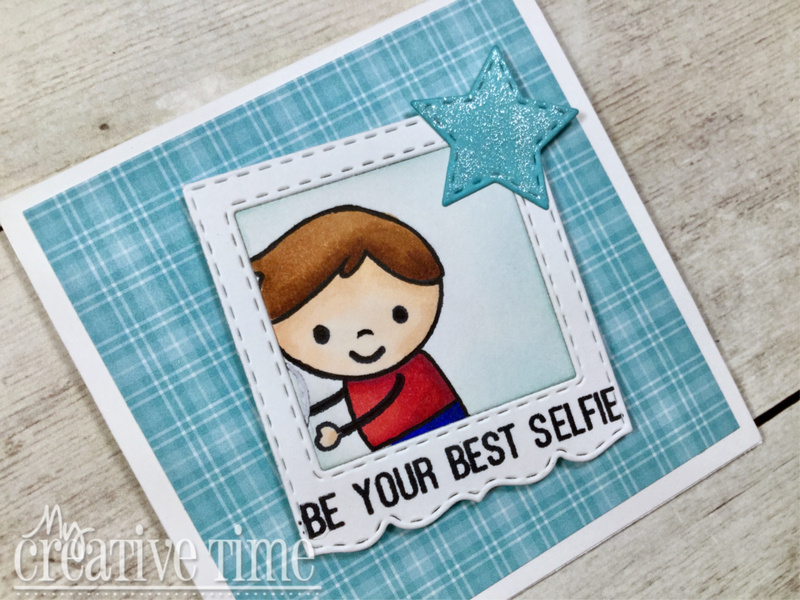 I tucked her in the frame die from the Be Your Best Selfie Stamp and Die Set. 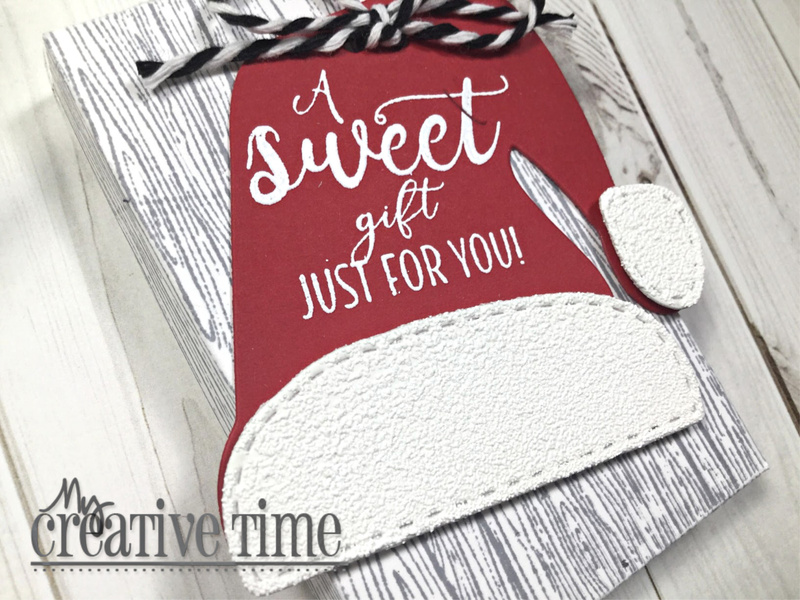 I realized that my Christmas themed stamps and dies from MCT are lacking so I didn't have an appropriate sentiment to put on the front of the card so I used one of the Stitched Message Bubble Dies to add that sweet little heart. I hope you enjoyed todays adorable sneak peek! Tomorrow is our Blog Hop to celebrate so I hope to see you then!! Thank you so much for stopping by!! See you tomorrow! My Creative Time 84th Edition Release Sneak Peek #2!! 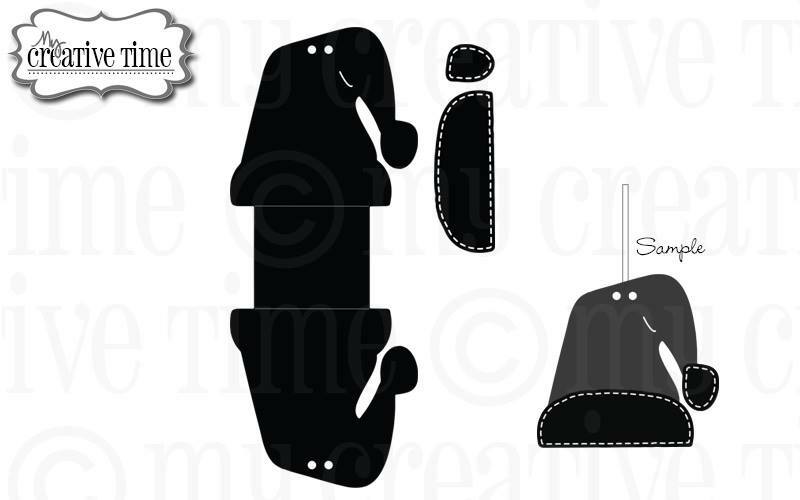 Welcome back to another sneaky peeky for the upcoming 84th Edition Release for My Creative Time! 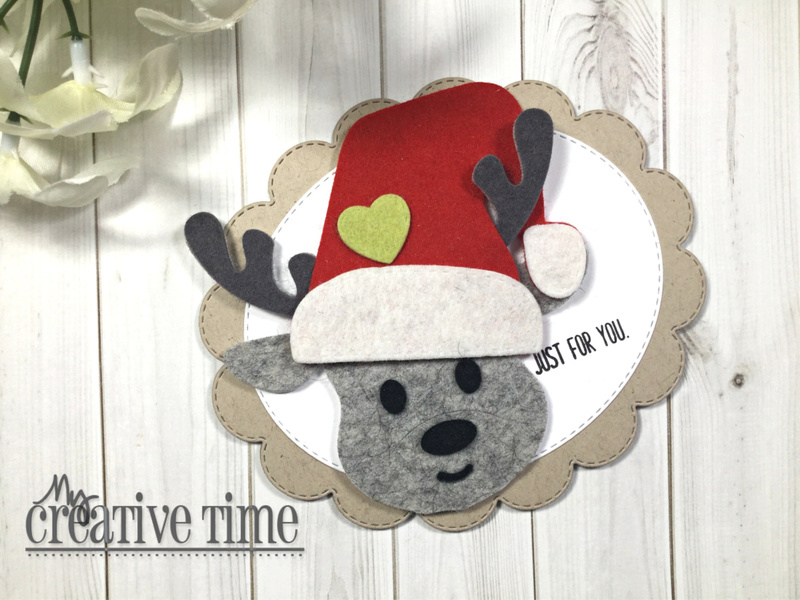 Today we are showcasing the Santa Hat Lollipop Holder Die! Emma comes up with the cutest ways to give treats, doesn't she?? But you probably know me well enough to know that I rarely use these lollipop holders as intended. 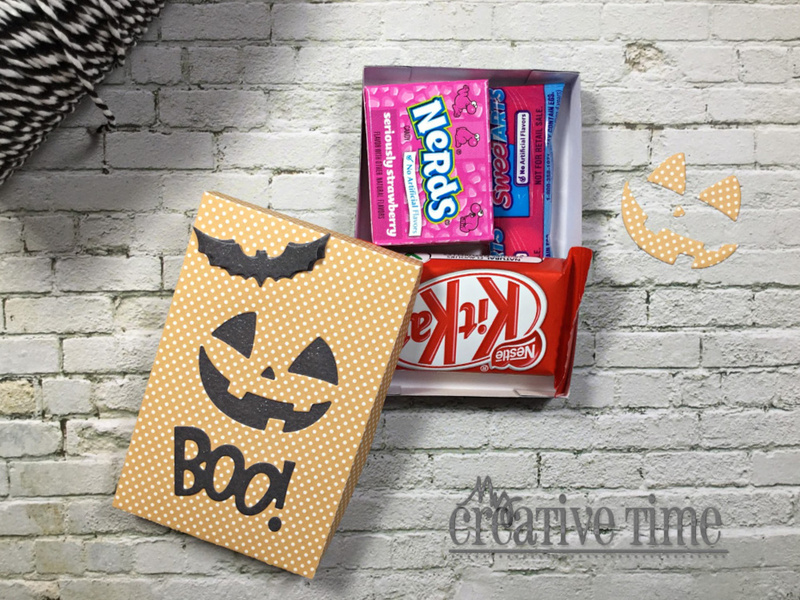 That's because a) I never have lollies in my house and b) I love thinking outside the box when it comes to die cutting! 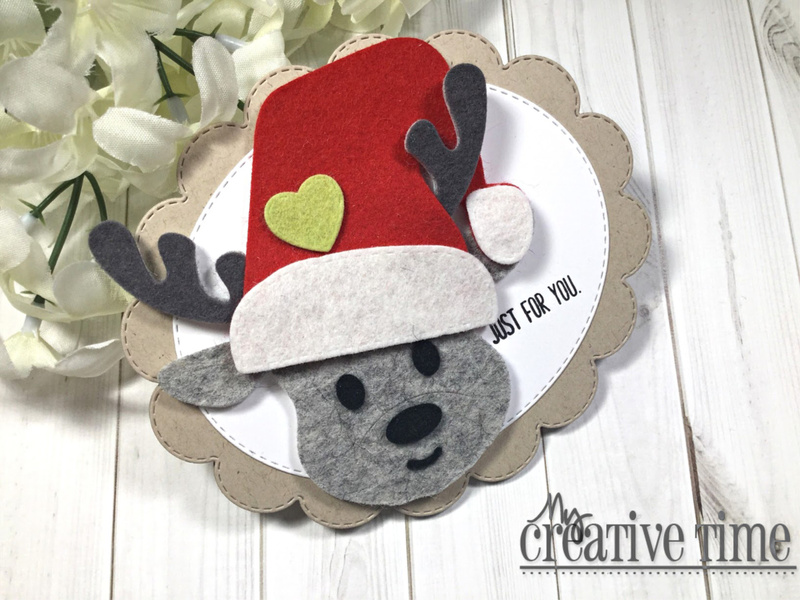 I used this die to create a cute gift giving tag! This was super simple. I basically just used one half of the die and stamped a sentiment on it, which comes from the Baked with Love Stamp and Die Set. Of course, I just had to use the Gift Card Gift Box Die that we featured yesterday! 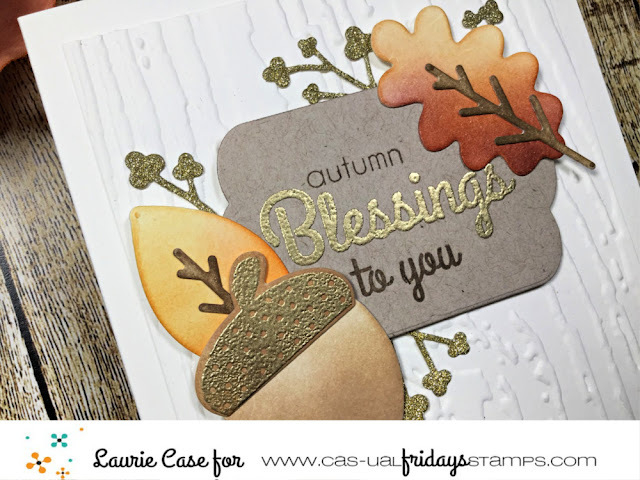 I used the Grainy Wood Background Stamp to add that beautiful pattern to the gift box. This die set comes with separate dies for the pom-pom and the trim of the hat. I used a textured white embossing powder on these pieces and I think it looks super cute!! I hope you enjoyed today's sneak peek!! Make sure to come back tomorrow for our final reveal!! 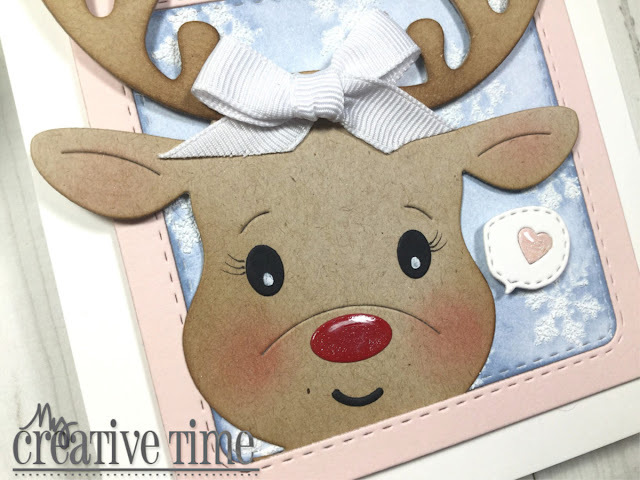 Hello and welcome to the first day of Sneak Peeks for the 84th Edition Release from My Creative Time!! 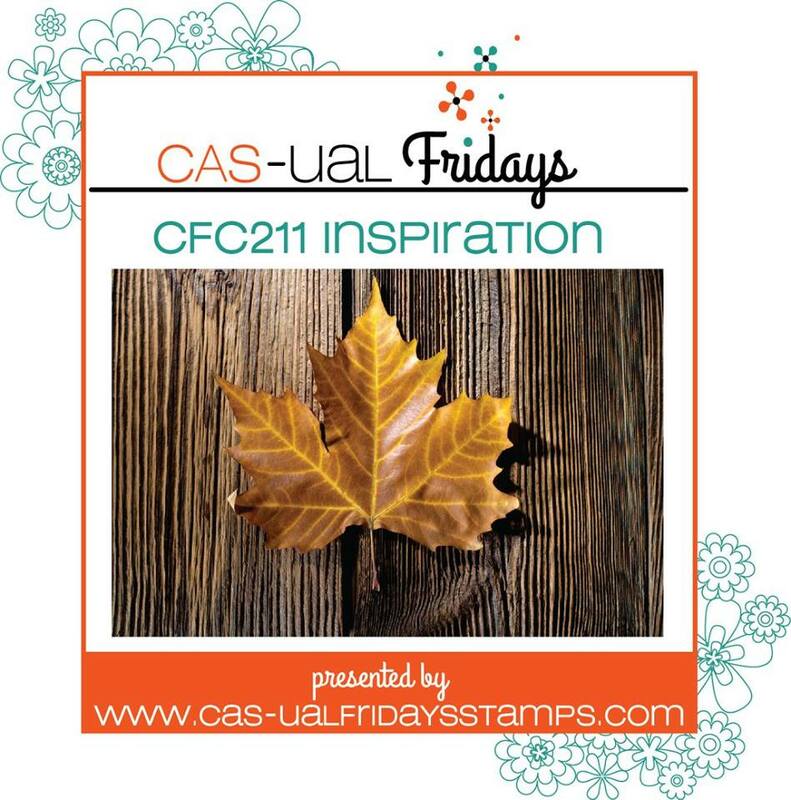 It's time to start getting into the holiday spirit and this release will definitely get your creative juices flowing!! 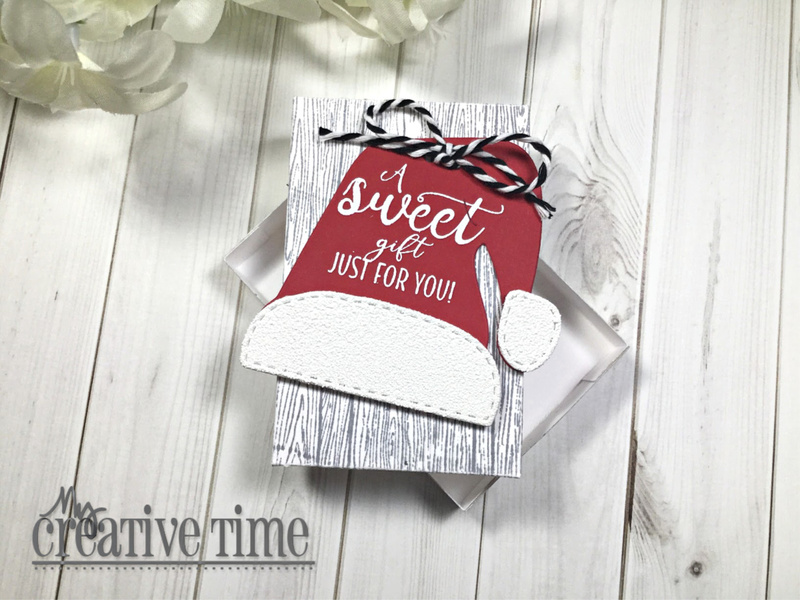 Today we are taking a look at the new Gift Card Gift Box Die!! This is an incredible die that will make giving gift cards or tiny presents so fun!! 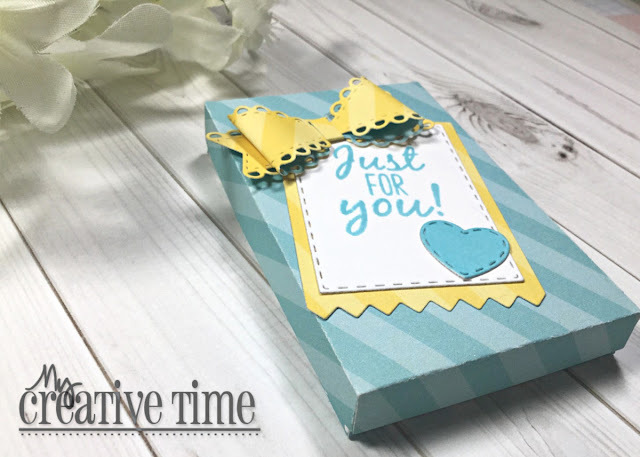 This two piece die provides all the cuts and score lines needed to create this cute box! 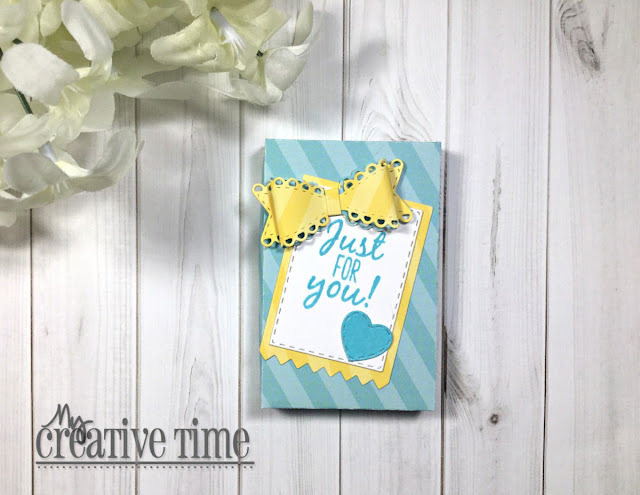 I paired it with the Made With Love Stamp and Die Set as well as the Small Stitched Scalloped Bow Die to make a fun little present. 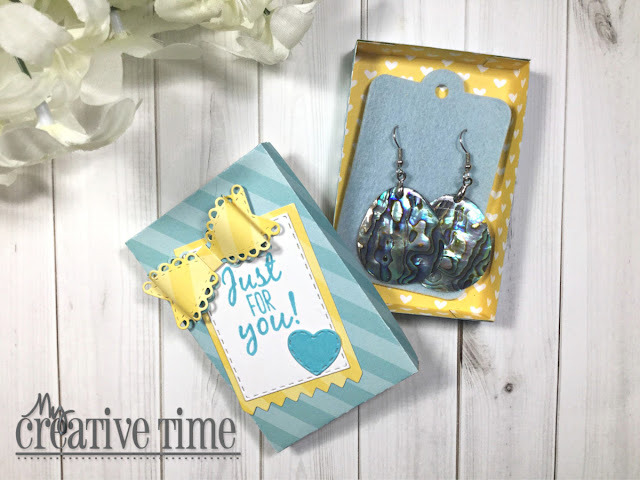 I decided to put a pair of earrings in to show you that this is just the perfect gift box for small to medium sized jewellery! I adore this little box so much and can't wait to use it this Christmas and all year round!! Thanks for stopping in today!!! I'll be back tomorrow for another amazing sneak!! 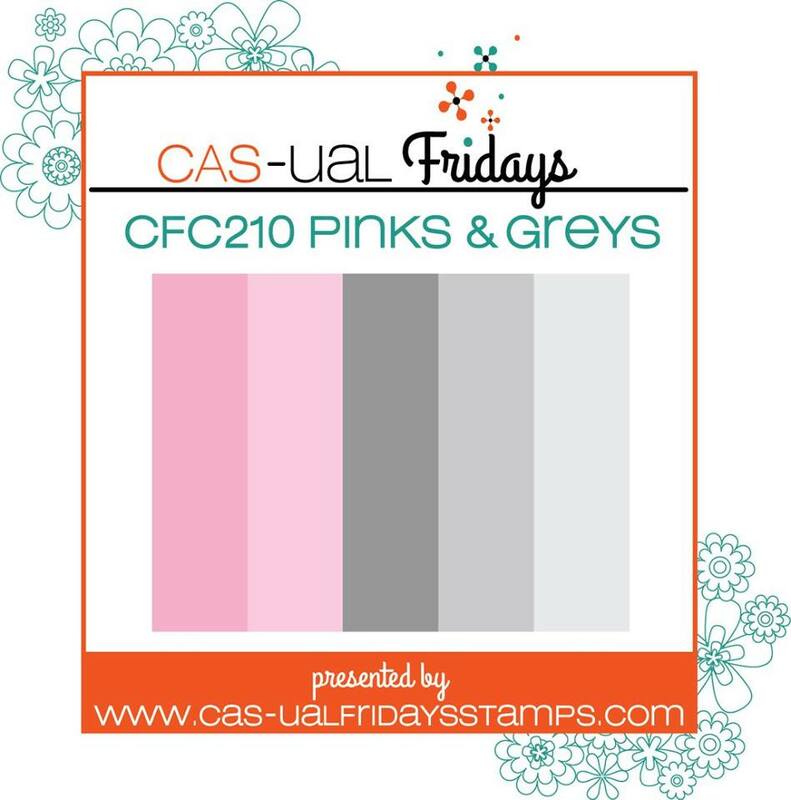 Pinks and greys!! How fun and sweet!! I decided to make a very feminine birthday card for this challenge. 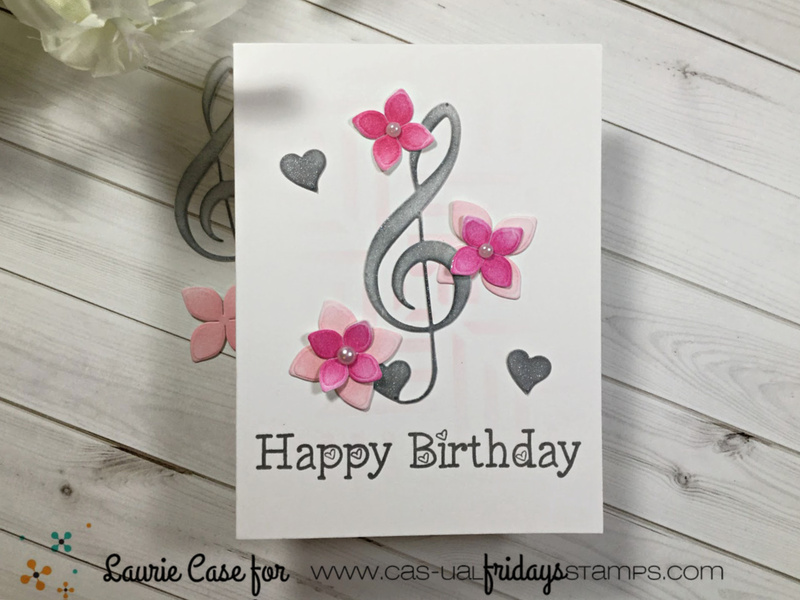 I used the Treble Clef Fri-Die as the largest image of the card and created around it. I used Hickory Smoke Distress Ink with a finger dauber to apply the colour. 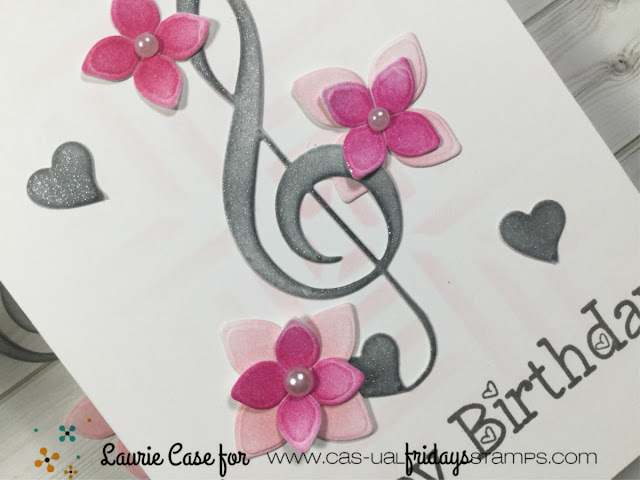 To dress up that beautiful music note, I used the 4 Petal Fri-Dies and used Spun Sugar and Picked Raspberry Distress Inks and coloured them the same way. 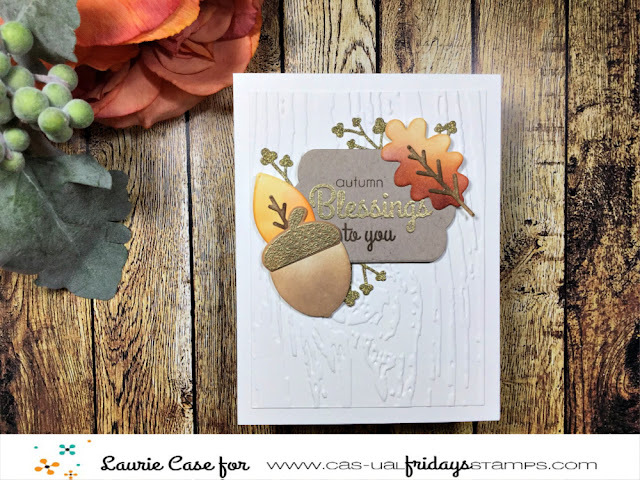 If you look closely, I decided to use the Spun Sugar ink along with the Square Dance Stencil from Catherine Pooler Designs to add a tiny bit of detail to the card front. 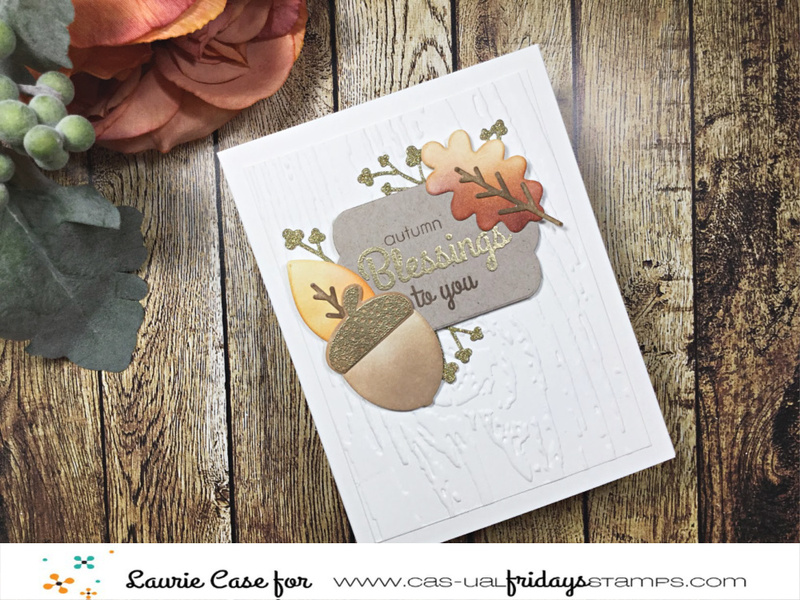 The sentiment comes from the Heartfelt Sayings Stamp Set and was stamped using Versafine Clair Morning Mist ink. I added a few pearls to the centre of the flowers as well as some shimmer pen to the note. The tiny grey hearts are actually cut from the bottom of the note..they make great embellishments!! 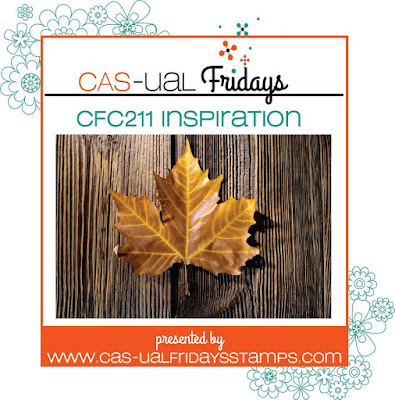 I really hope you can join us for this fun challenge! I love seeing what you're creating!! 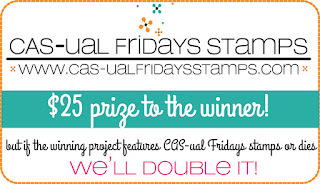 Be sure to link up your project to the CAS-ual Fridays Challenge Blog!! Good luck and have fun!! Hello everyone and welcome back!! Today I made a set of mini encouragement cards. These cards are 3 X 3 inches are just super sweet! I think they'd would be perfect to put into a lunch box, backpack or maybe even briefcase! I used the Stitched Mini Frame and Arrow Dies to start the this project. I adore this little set of dies, it is just the cutest!! 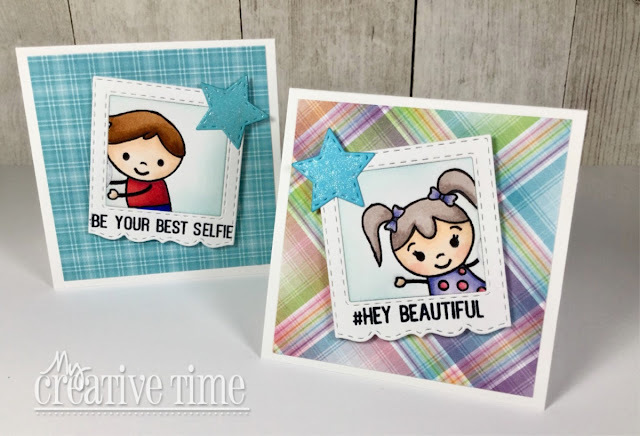 For the images, I chose both the girl and boy from the You're A Hit, Valentine Stamp and Die Set. The die cuts two separate pieces, the frame and the inner window. I selectively stamped each image onto the inner square piece. I used my Copic markers to colour these cuties in, then added a bit of Tumbled Glass Distress Ink to take away some of the harshness of the white background. I attached the frame and the inside piece using Scotch Tape at the back. 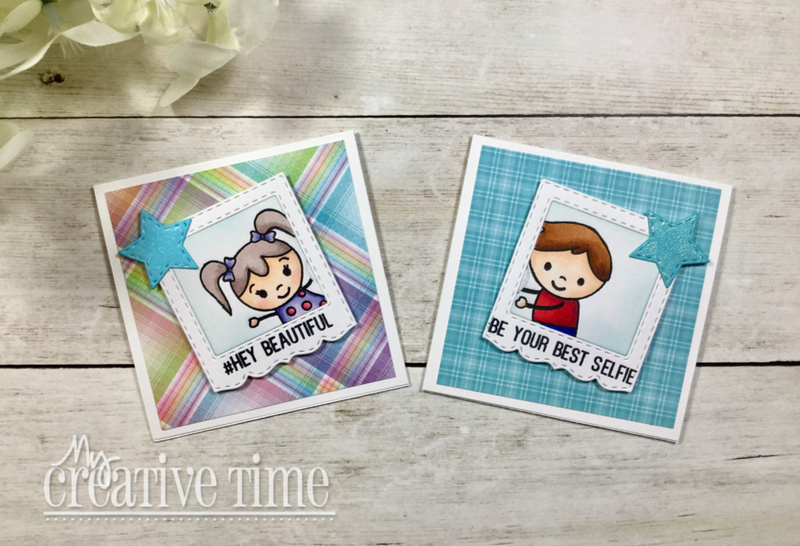 The sentiments for each card come from the Be Your Best Selfie Stamp and Die Set. Again, this is a great little stamp set with awesome sentiments and two fabulous "selfie" word dies! 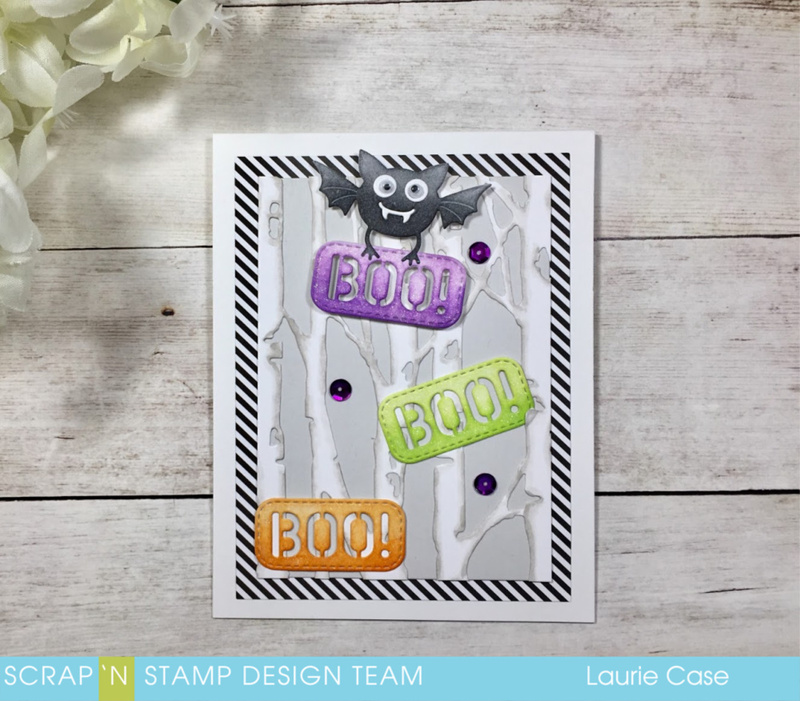 I actually had the start die cuts sitting in my die cut pile and the colours just happened to match perfectly! 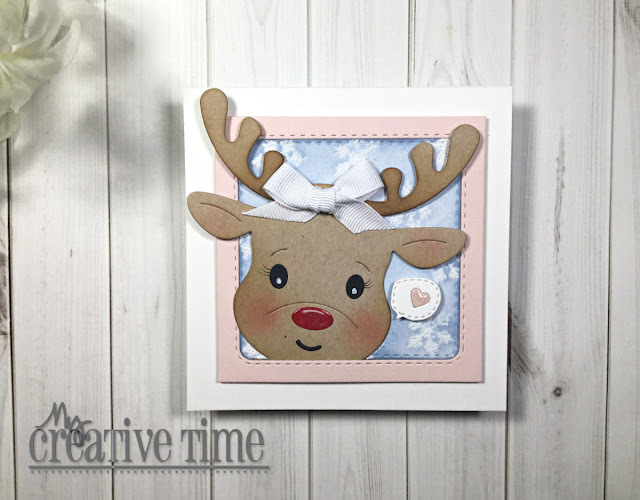 I attached the star to each frame and then foam mounted the picture frame to the card base. It's so nice to make smaller sized cards. They are great for all your small die cuts and images are quick and fun to make!! I hope you enjoyed today's "Whatever Wednesday"! Thank you so much for stopping in, much appreciated! !